* An Introduction To Drupal - of the Drupal Video series, I will introduce you to and define CMS. Some say the Drupal is the best in the CMS arena, but which version of Drupal is right for you? This video will help you decide so don't skip this one. * Install Drupal The Easy Way - of the Drupal Video series, I will show you the easy way to install the software. If you can click a mouse and find the keys on your keyboard and click on a few of them, then you can install Drupal in just a few minutes after watching these videos. * Install Drupal The Manual Way - in the Drupal series will show you how and tell you why you might want to manually install your Drupal software. After watching this video you will be overflowing with confidence in your new found ability to install this awesome program. No worries here, with this step-by-step video. * Basic User Configuration - of the Drupal Series, you will understand how to create users and assign them various permissions. This will allow them to have access, or zero access to certain places and functions of your website. * Basic Site Configuration - in the Drupal video series, you will learn how to configure your Drupal Website. When I first hear the words "Configure Your Website" it sounds difficult and time consuming. Not after watching this video it won't be. * Drupal Blocks - of the Drupal Video Series, you will get a better understanding of what Blocks are and how they will help organize your Drupal site. You are going to learn how to add, and configure your blocks. One of the many new features in version 6.x is how you are able to move your blocks from one place to another. Watch this video and find out how. 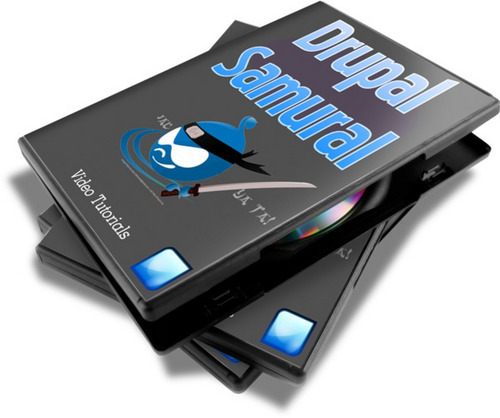 * Drupal Modules - In this video we will introduce you to the Drupal Modules. Modules add tons of additional functionality to your Drupal web sites. We will show what they are, where they are and how to get them to work for you. * Adding A WYSIWYG Module - In this video in the Drupal video series you will see how to add a html editor module to your website. You will also learn how to configure it and this applies to adding most any module to your website. * Drupal Reports - of the Drupal series you will be introduced to the reports section of your website. Sure reports sound boring, but in this video you will see the benefits of the reports section and how it will keep you informed of all the good, the bad and the ugly of whats going on in your website. * Actions & Triggers - In this video we will show you what an action and a trigger are and how they can help simplify your life as a Drupal Website owner and administrator. These two items will automate some of your tasks so you can focus on some of the fun stuff. * Drupal Themes - In this video of the Drupal Video Series, you are going to learn all things Themes. Where to find more themes, how to customize your existing themes as well as install, enable and configure a new theme. As an added bonus, I'm going to show you how to customize your own shortcut icon also known as a favicon, and install it into your theme. Lets get to it! * Content Type - In this video on Content Type, we will discuss and define the various Content Types. After watching this video you will no longer be confused on what the difference is between a Page and a Story, or a Blog and a Book. Watch & Learn. * Content - Add A Page - In this video we will be adding content to our site in the form of a Page. You will learn the difference between a page and other forms of content. This and the other "Content Adding Videos" will get you going in the right direction for making your new Drupal web site ready for the public. * Content Add A Story - In this video of the Drupal Video Series, you will be introduced to the adding Stories section. We will be adding an article to a new parent directory we create as well as adding a video to a different parent directory we create. This video is loaded with details, so you don't want to miss this one. * Content Add A Book - of the Drupal Video Series, we will be talking about the Book Function. You will learn how to create your Book and set it up so that others can contribute to it as well. This and the other Content Adding Videos are crucial to creating a unique Drupal Web site. * Menus - of the Drupal Video Series, you will be introduced to the Menu function. The Menu is the same as navigation. You will learn how to create and organize the links to the various content created on your site. Don't allow your Drupal Site to be an unruly mass of content thrown all about - Watch this video! * Taxonomy - In this video in the Drupal Video Series we will tackle Taxonomy. We will break the code of confusion surrounding Drupal Taxonomy. You will learn how to use Taxonomy to arrange the clutter on your Drupal site to make it both user and search engine friendly. Watch and learn. * Setting Up The Forum - In this video you will be taken by the hand and shown the basics of setting up your own Drupal forum. Your forum will help keep your members informed and its the quickest way to create and sustain your own community. * SEO - In this video we will cover some tips on making your Drupal site more search engine friendly. The better your sites SEO the better your ranking in the organic search results. This will increase the visitors to your site and this will increase your recurring income. Sounds like a video not to miss. * Customizing The Front Page Part 1 - In this video you will learn how to customize your Drupal sites front page so that a different page view can appear depending on who is logging in. This video will show you how to add this massive amount of flexibility and functionality to an otherwise dull and plain front page. * Customizing The Front Page Part 2 - In video 21 of the Learning Drupal Video Series, we will finish showing you how to customize your sites front page. * Introduction To Setting Up Your Drupal Membership Site - In this video you will be introduced to the process involved in adding membership functionality to your existing Drupal Site. Membership sites are a fantastic way to generate recurring income. If you provide unique and marketable information, why not get paid for it. There are several ways to setup a membership site - here is one of my favorites. * How To Install The aMember Script - In this video we will walk you through the process of installing the aMember script. If you are not familiar or comfortable with installing scripts, then this is a must see video. Set your fears aside and watch and learn. * How To Configure aMember - In this video you will be taken by the hand and shown the basics of setting up your aMember script. This lays the foundation for everything else to build from and you might be surprised at just how much is covered in this short video. * How To Setup Your Payment Processor - This is one of the most important videos in creating your Drupal membership site. Here we walk you through setting up your payment processor. Its simple really, no payment processor - no payment. This video takes all the guesswork out of setting up the payment processor. * How To Create Your aMember Products (Levels Of Membership) - In this video you will learn step-by-step how to create an aMembers product. For the purpose of these videos the product will be various levels of memberships like a Bronze, Silver and Gold Levels. * How To Setup Protection For Your Different Products - In video 28 in the Drupal Video How-To Series, by showing you how to protect your products you will learn how to provide different levels of content for different levels of membership. Its so easy a caveman can do it. After watching this video you will be able to add almost instant value to your membership site by being able to add additional levels and charge accordingly. * Test Your Membership Site - In this video we will make sure all our t's are crossed and our i's are dotted. After you have put everything together it is time to test it all before you go live. You should be the one to find all the glitches and problem pieces...not your customers - This video will show you what to look for.